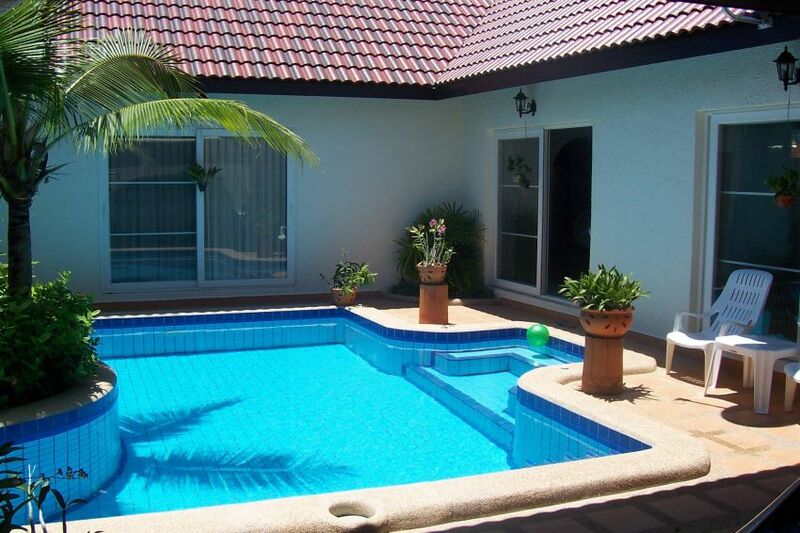 Large 350 Sqm 3 bedroom 4 bathroom house in a quiet and secure development, just 10 minutes from Pattaya and Jomtien. This spacious house is in very good order throughout with a well kept garden & sala, there is both a Thai & European kitchen with a separate Laundry/storage room with a washing machine, dryer and fitted storage cupboards. Upstairs there is a 2nd living room plus a large terrace area with another sala accessed through the master en-suite bedroom. 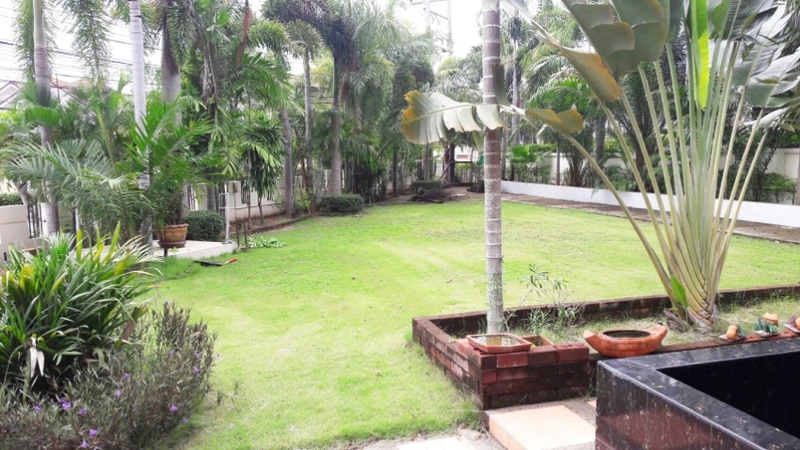 This property is part of a Co-Op owners Association to ensure that the up keep and maintenance of the development is carried out quickly and to a high standard, sold with a Thai Company, the maintenance fees are 12,000 Baht per Year. A wonderful, two bedroom pool villa for sale. It is located 1.5km east of Sukhumvit Rd, and only 5 minutes drive from Jomtien beach, Lotus and 10 mins from Pattaya; 24/7 guard/gate, quiet in a well kept village. This home has all the features; Comfortable high end furniture, big screen TV’s, media players, wi-fi, satellite and cable TV, washer, dryer, new efficient AC’s, and new kitchen appliances. The home is completely furnished and equipped with everything you will need to move right in and enjoy your private pool and large car port/barbeque area. Large gas grill included. 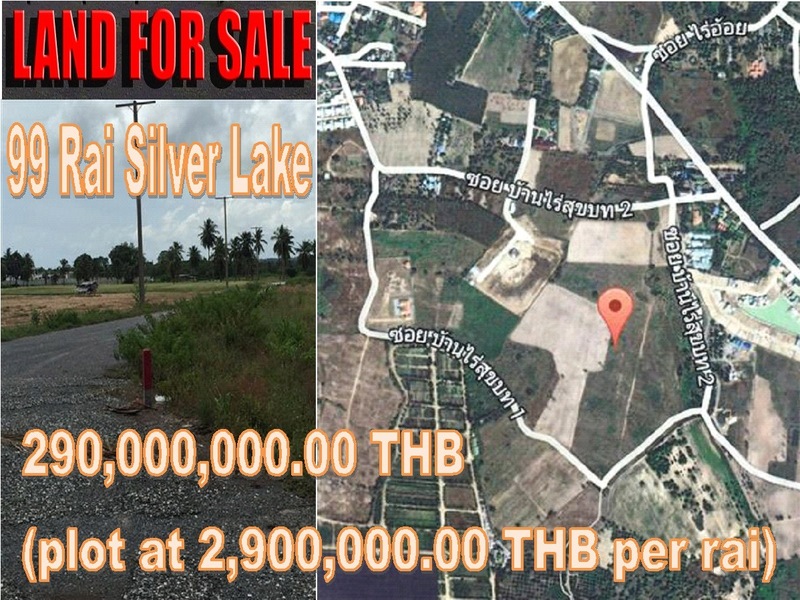 This land plot is a large 100 rai near the Buddha Mountain Khao Cheejan next to Silver Lake. One of Pattaya’s most noticeable landmarks is the 130 meters high Buddha Mountain. A huge golden Buddha image is set on the mountain, which is also called Khao Cheejan that can be seen from miles away. The Buddha image that is officially called Phra Phuttha Maha Wachira Uttamopat Satsada was created in 1996 to celebrate the 50th anniversary of King Bhumibol Adulyadej’s accession the the throne. Silver Lake is a Beautiful and quiet place with scenic views. It is a nice place for a day trip from the buzz of Pattaya with golf courses and high end hotels around. This large land plot would be perfect for a village, golf course or other developer projects of large scale. Agents are welcome to promote this hugh low priced and high valued land plot. The price for the whole at 2,900,000.00 THB per rai is 290,000,000.00 THB. 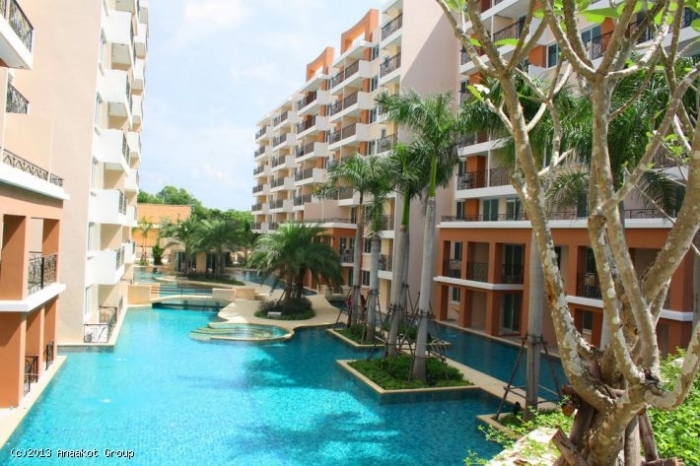 Paradise Park Jomtien for rent 1 bedroom, Cable TV, Unlimited Hi speed Internet included. 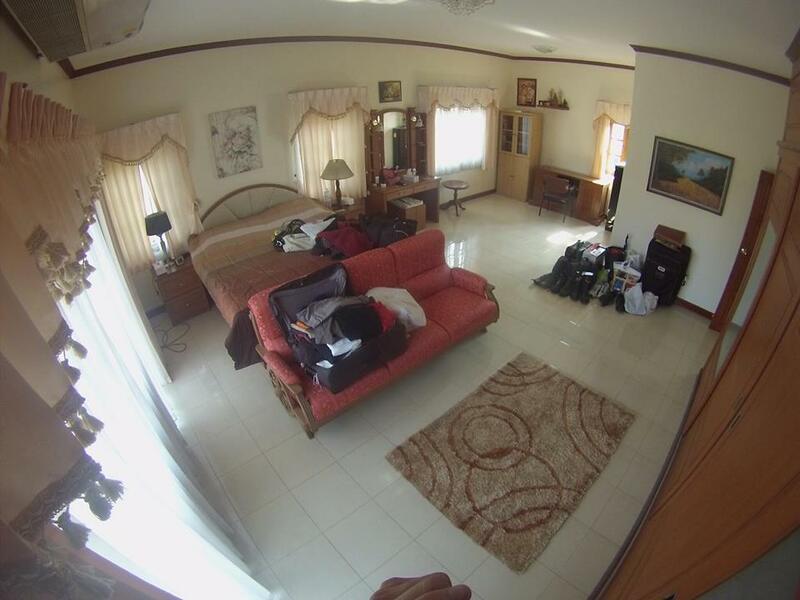 Room is 36sqm,Swimming pool view 2nd floor, brand new complex with huge pools and jaccuzi ,fitness center. Upgraded room with chaise lounge that folds to double bed, all furniture is brand new and upgraded from original to newer modern style , has internet,and cable tv with 2 LCD TVs in lounge and bedroom, air conditioning in bedroom and lounge also ceiling fan in lounge, top of the line box spring bed very soft, large stainless fridge with microwave all cooking utensils pans,knives,forks,spoon,plates,glasses. Quality block out curtains, top of the line dining and coffee table in fiberglass high gloss black, bathroom has mirrored cupboards installed for storage also shower caddy with mops and brooms. Bedrooom has LCD tv and high gloss black bedside tables,quality microfibre sheets,mattress protector and quilt cover 4 pillows, quality rattan outdoor setting. You will not find a room in pattaya for this price with this type of quality fitout with pool views and western management ,this room is new with fully professionally designed decor, special price yearly lease 12,000 bht per month. Short term rentals are available on request. 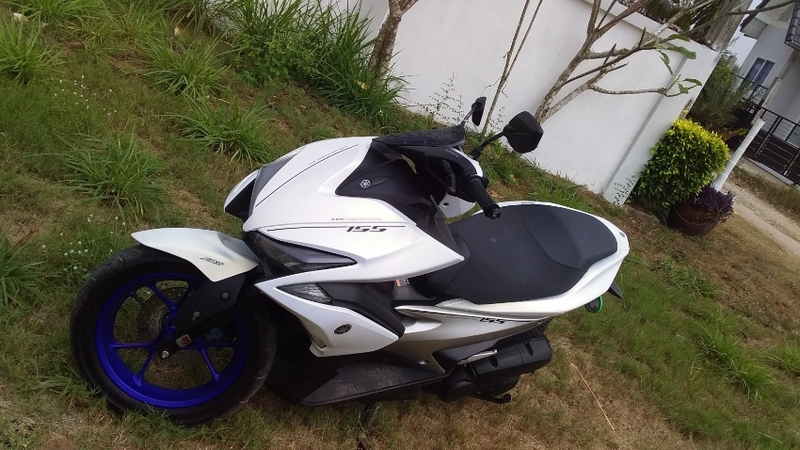 Please feel free to contact Clive 0808274734 for English or Thai. 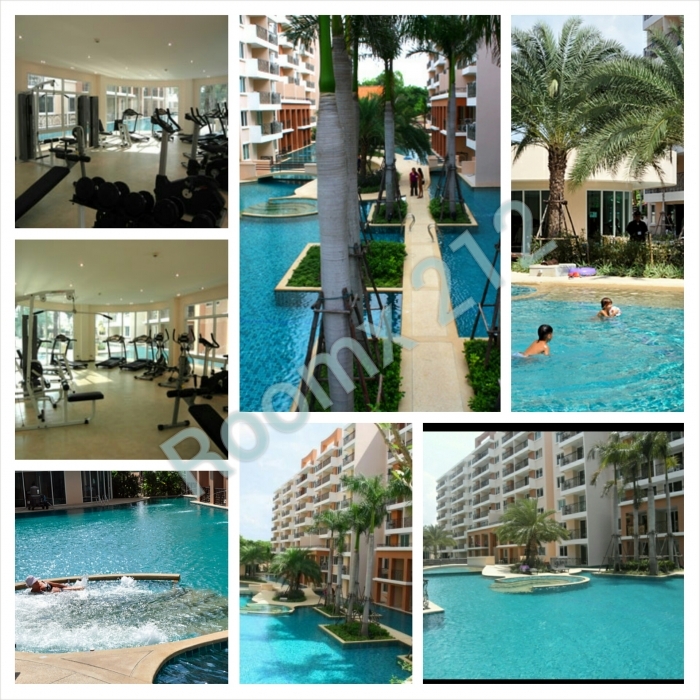 Paradise Park Jomtien for sale 1 bedroom 36 sqm, swimming pool view 2nd floor, brand new complex with huge pools and jaccuzi ,fitness center. Upgraded room with chaise lounge that folds to double bed, all furniture is brand new and upgraded from original to newer modern style , 2 LCD TVs in lounge and bedroom, 2 air conditioning in bedroom and lounge also ceiling fan in lounge, top of the line box spring bed very soft and comfortable, large stainless fridge 6.2 Q instead of 3 Q with microwave ,all cooking utensils pans,knives,forks,spoons,plates,glasses. Quality block out curtains,top of the line dining and coffee table in fiberglass high gloss black,bathroom has mirrored cupboards installed for storage also shower caddy, proper glass shower screen with mops and brooms,high gloss black bedside tables,quality microfibre sheets,mattress protector and quilt cover 4 pillows, bed skirt,quality rattan outdoor setting. You will not find a room in Pattaya for this price with this type of quality fitout with pool views with western management. This room is new with fully professionally designed decor, yearly lease 12,000 - 15,000 bht per month. Short term rentals are available on request. 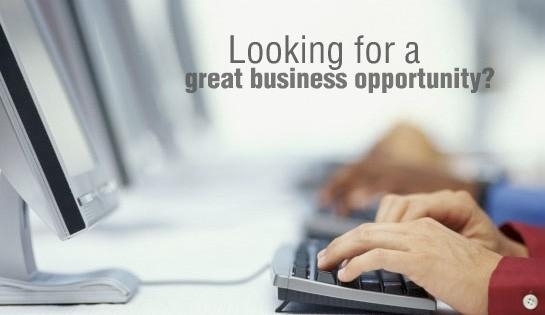 Please feel free to contact Clive 0808274734 for English or Thai. 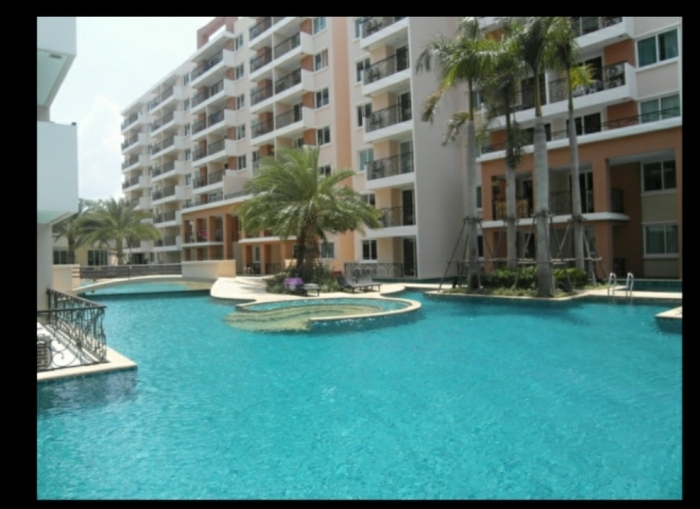 Paradise Park Jomtien for rent 1 bedroom, Cable TV, Unlimited Hi speed Internet included. Room is 36sqm,on the Swimming pool view 2nd floor, brand new complex with huge pools and jaccuzi ,fitness center. Upgraded room with chaise lounge that folds to double bed, all furniture is brand new and upgraded from original to newer modern style , has unlimited hi speed internet,and cable tv with 2 LCD TVs in lounge and bedroom, air conditioning in bedroom and lounge also ceiling fan in lounge, top of the line box spring bed very soft, large stainless fridge 6.2 Q ,with microwave all cooking utensils pans,knives,forks,spoon,plates,glasses. Quality block out curtains, top of the line dining and coffee table in fiberglass high gloss black, bathroom has mirrored cupboards installed for storage also shower caddy with mops and brooms. Bedrooom has LCD tv and high gloss black bedside tables,quality microfibre sheets,mattress protector and quilt cover 4 pillows, quality rattan outdoor setting. You will not find a room in pattaya for this price with this type of quality fitout with pool views and western management ,this room is new with fully professionally designed decor, special price yearly lease 16,000 bht per month. Short term rentals are available on request. Please feel free to contact Clive 0808274734 for English or Thai. 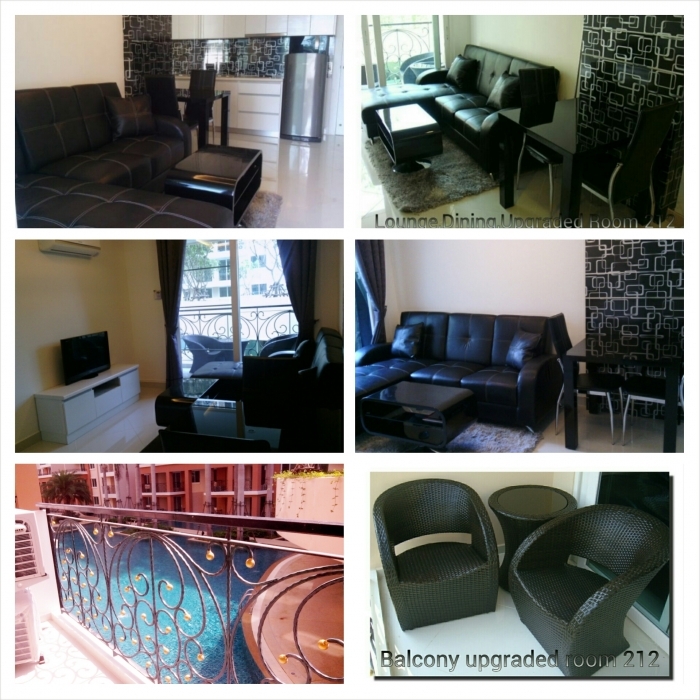 Paradise Park Jomtien for rent 1 bedroom,carpark side Cable TV, Unlimited Hi speed Internet included. 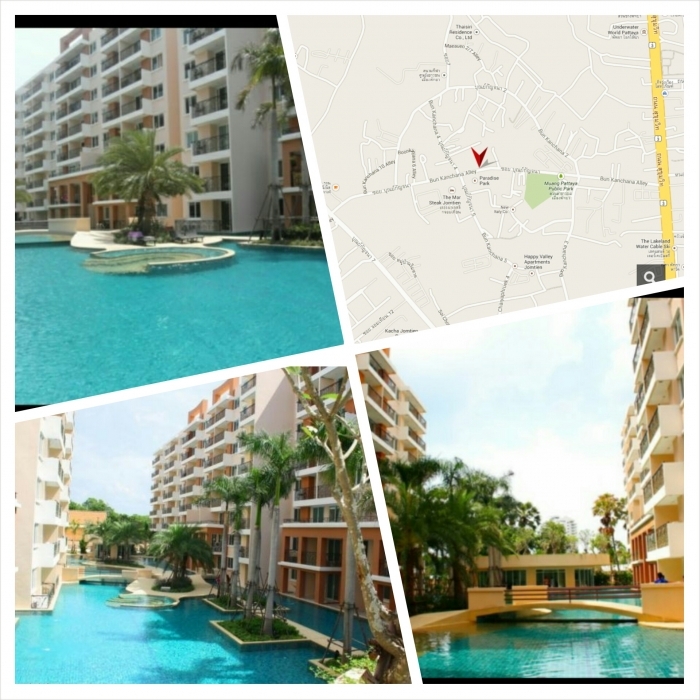 Room is 36sqm,2nd floor, brand new complex with huge pools and jaccuzi ,fitness center. Upgraded room with chaise lounge that folds to double bed, all furniture is brand new and upgraded from original to newer modern style , has internet,and cable tv with 2 LCD TVs in lounge and bedroom, air conditioning in bedroom and lounge also ceiling fan in lounge, top of the line box spring bed very soft, large stainless fridge 6.2 Q with microwave all cooking utensils pans,knives,forks,spoon,plates,glasses. Quality block out curtains, top of the line dining and coffee table in fiberglass high gloss black, bathroom has mirrored cupboards installed for storage also shower caddy with mops and brooms. Bedrooom has LCD tv and high gloss black bedside tables,quality microfibre sheets,mattress protector and quilt cover 4 pillows, quality rattan outdoor setting. You will not find a room in pattaya for this price with this type of quality fitout with pool views and western management ,this room is new with fully professionally designed decor, special price yearly lease 15,000 bht per month. Short term rentals are available on request. Please feel free to contact Clive 0808274734 for English or Thai.